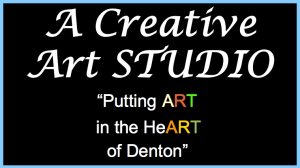 A Creative Art STUDIO, a retail Art Gallery and working studio opened in Denton, Texas in the late fall of 2009. A Creative Art STUDIO offers fine art and handmade crafts and gifts from an ever-changing group of local and regional artists. The studio is serving the community with classes in oil and acrylic painting, stained glass, jewelry, mosaics, watercolor, drawing, writing workshops and other fun art classes. Art Celebrations are also offered with ART parties for children and adults and music and art events on every First Friday of the month. Need a place to do art? Ask us about studio time. 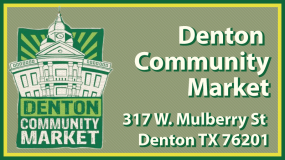 Be sure to visit the STUDIO easily located just off of the historic Denton Square on Oak Street. A Creative Art STUDIO is a cozy art studio offering lessons and art for sale. There is a nook in the main lobby where bands setup and entertain art lovers who come to browse. If the browsers stay to listen, they’re more likely to see all the pieces of art available. So it turns out to be a win-win-win-win situation: artists, store personel, patrons, and musicians have the excuse they need to spend quality time with one another. We all benefit from what the others bring to us.